Autoruns is a monitoring tool that can watch all the processes running in your system, customize startup programs to boost overall computer speed. Sysinternals are the previous author company but at later time, Microsoft Technet brought it on their web page. Find a process, kill or delete through its original path is now easier than ever before. It will also include hidden entries right from Windows system folders where the files marked as hidden or operating system hidden files. A file or process can be easily search to view its path, publisher, description and timestamp as well. 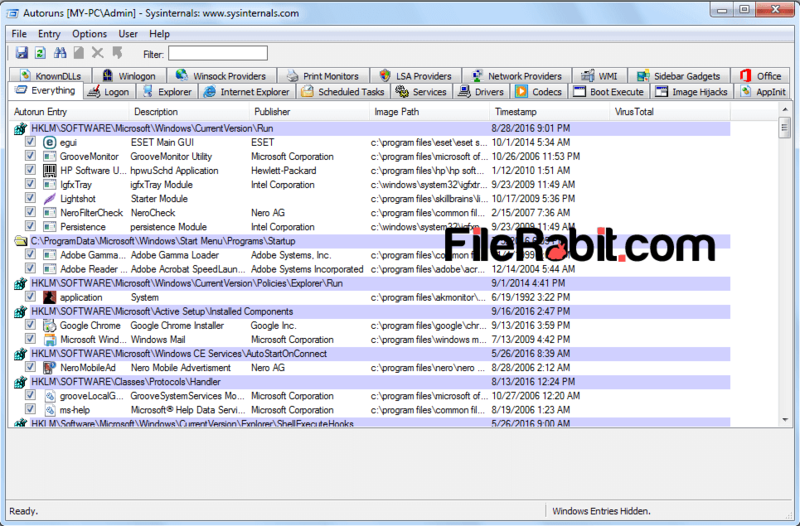 Autoruns is light, powerful and easy to use software that will help us to caught suspicious programs alongwith deleting them from original path. The layout is too much simple and its light weight will never slowing down computer speed. 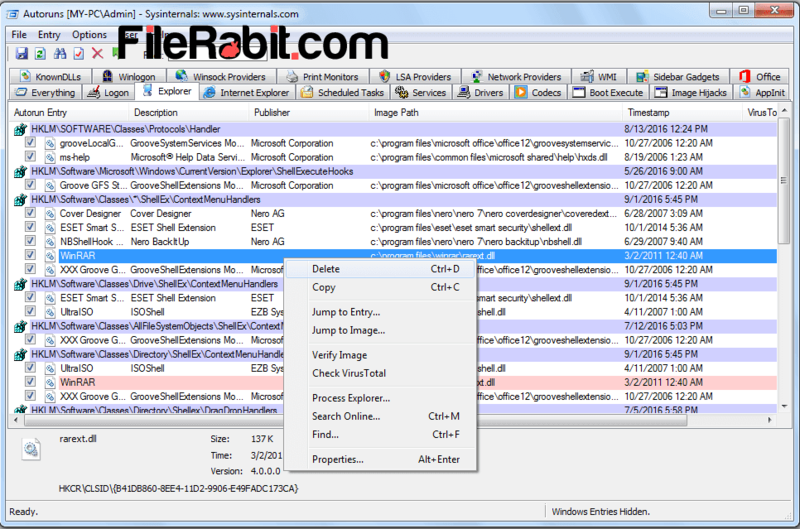 Find target files in any category or search in everything tab for instant results. The red entries are showing deleted or missed entries in registry editor. These may reduce computer speed as well as start up and turn off. It is required to delete bad values to speed up your computer. Many users doesn’t know about the virus, threats, worms and Trojans that were running in system background. They will never let to run any antivirus program or third party software. They kill processes, disable task manager and windows registry editor. However, we will recommend all of over visitors to download and use this tool to maximize security and protection. Autoruns will show in red which entries were deleted so it is recommended to delete these red entries to boost up OS speed.